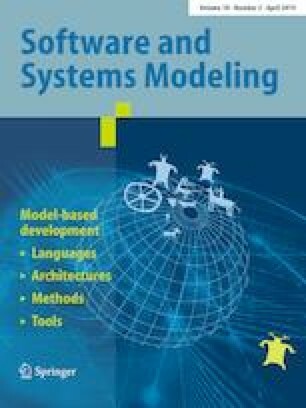 A key challenge to software product line engineering is to explore a huge space of various products and to find optimal or near-optimal solutions that satisfy all predefined constraints and balance multiple often competing objectives. To address this challenge, we propose a hybrid multi-objective optimization algorithm called SMTIBEA that combines the indicator-based evolutionary algorithm (IBEA) with the satisfiability modulo theories (SMT) solving. We evaluated the proposed algorithm on five large, constrained, real-world SPLs. Compared to the state-of-the-art, our approach significantly extends the expressiveness of constraints and simultaneously achieves a comparable performance. Furthermore, we investigate the performance influence of the SMT solving on two evolutionary operators of the IBEA. Communicated by Dr Philippe Collet. We would like to thank anonymous reviewers for their helpful comments. This research was partially supported by Shanghai Municipal Natural Science Foundation (No. 17ZR1406900), Shanghai Pujiang Talent Program (No. 17PJ1401900), Specialized Fund of Shanghai Municipal Commission of Economy and Informatization (No. 201602008), Specialized Research Fund for Doctoral Program of Higher Education (No. 20130074110015), National Natural Science Foundation of China (No. 61173048, 61602460), China Postdoctoral Science Foundation (No. 2016M600338), Natural Sciences and Engineering Research Council of Canada, and Pratt & Whitney Canada.